This post is actually inspired by my mom. 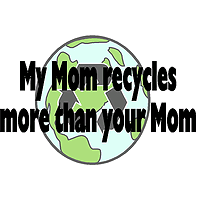 She rang me up the other day and told me about a whole slew of eco-friendly changes she’s started making in her life. Should I Use Compostable Products (if my city doesn’t offer curbside composting)? We recently had a very smart question come through from a new Viv business – Crave Catering + Events – based in Brooklyn, NY. After responding, I thought we should share the response with other Vivers who may be wondering the same thing. Enjoy! “Are the compostable plates biodegradable…as in if we throw them out and they end up in a landfill somewhere will they biodegrade? 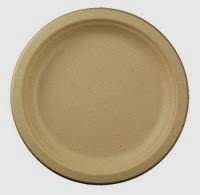 The bagasse / wheat straw plates are biodegradable, but in an anaerobic environment such as a landfill they will take significantly longer to breakdown (likely a few years… as opposed to 30 days in a commercial composting system or 90 days in a home composting system). You may want to check with the folks at Vokashi (Crave’s Bokashi Partner) to see if their system can be used on “bagasse” products specifically. I could see it not working with things like compostable cutlery which have a longer biodegradation cycle, but bagasse products break down quite quickly and in the right amounts it may work with Bokashi. Increasingly products are being made with “compostable” and “biodegradable” on their labels (we should know ;-)). But here’s the little known fact – the word “compostable” actually means something, and it’s definition is tightly controlled by International Standards… whereas the word “biodegradable” has a very loose, almost meaningless definition. Let’s talk about it in the context of the new generation of eco-friendly plastics. So, what is the difference between compostable and biodegradable plastic? 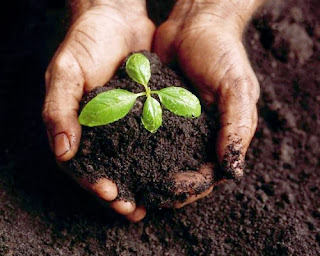 Well, the simplest way to identify a truly compostable product is to just look it up at theBiodegradable Products Institute (BPI) (the leading authority on compostable products). Compostable Plastic“is capable of undergoing biological decomposition in a compost site as part of an available program, such that the plastic is not visually distinguishable and breaks down to carbon dioxide, water, inorganic compounds, and biomass, at a rate consistent with known compostable materials (e.g. cellulose), and leaves no toxic residue.” – as defined by the American Society for Testing and Measurement (ASTM-D6400 & ASTM-D6868). Biodegradability – Determined by measuring the amount of CO2 produced over a certain time period by the biodegrading plastic. The standards require 60% (90% in Europe) conversion of carbon into carbon dioxide within 180 days for resins made from single polymer and 90% conversion of carbon into carbon dioxide for co-polymers or polymer mixes. Disintegration – Measured by sieving the material to determine the biodegraded size and that less than 10% remains on a 2mm screen within 120 days. Eco-Toxicity – Measured by testing the concentrations of heavy metals to ensure that they are below the limits set by the standards and by testing plant growth by mixing the compost with soil in different concentrations and comparing plant growth in test and controlled compost samples. So that’s the standard for “compostable plastics”. Biodegradable Plastic, on the other hand, is plastic which will degrade from the action of naturally occurring microorganisms (e.g., bacteria, fungi) over a period of time. Note, however that there is no requirement for “eco-toxicity” and no time requirement for the biodegradation of biodegradable plastic. The ASTM standard for compostability is applied to a range of products, but most typically is found on bags and food service ware, including: cups, cutlery, plastic coated paper items, and even bagasse and sugar cane products. In short, the term “biodegradable” is typically a term used to green wash products and make them seem good for the environment. So, have you ever purchased “biodegradable” supplies and wondered if they actually break down? Tell us about an experience you’ve had. And next time you’re making a purchase, make sure to purchase products that are certified compostable. As I’m sure some of y’all know, Sun Chips has recently started rolling out its new 100% compostable bag in Canadian retail stores. Very cool. I had heard about this a few weeks back, but only recently had a chance to scope out the time lapse video they put together that shows the bag breaking down in ~14 weeks in a commercial composting system that reaches 55 degrees C.
There have been a few different write-ups on the bag (my favorite is Triple Pundit’s, as a representative from Sun Chips answers some tough questions really well in the comments). “As you might imagine creating a window into this environment was a bit tricky. We built a chamber for composting to take place under typical conditions, but replaced one of the walls with a glass window to see inside. While this gave us a unique view into the composting process, it also created some unforeseen challenges. For example, the glass was more conducive to heat loss than the walls of a typical compost bin. To counteract this force, we had to heat the glass so that it would not cause the compost pile to lose more heat than it normally would. Love it. Understanding that this is marketing, I’ll be the first to say that it’s really really powerful marketing, and I think it’s quite moving to see the bag breakdown right before your eyes. A big kudos to Sun Chips for going the extra mile to get this made – I hope it gets lots of great play across the web.